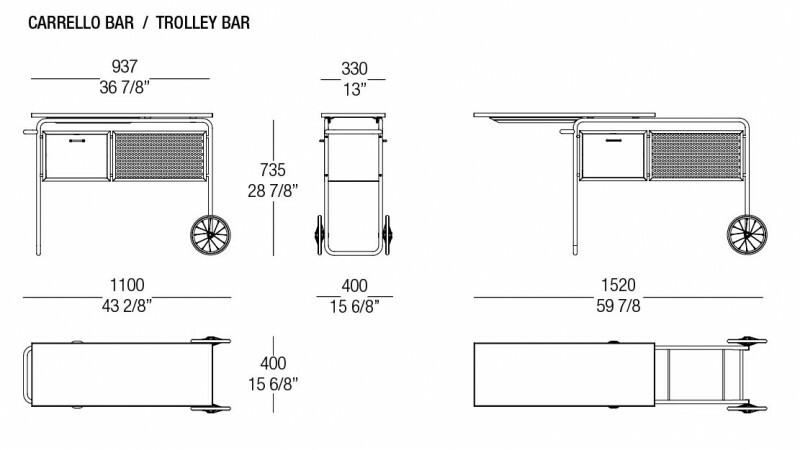 Having more then eighty years and do not look like: trolley bar AR1 has originality and practicality. Structure in satined brushed and chromed tubular steel Ø 20mm (6/8"), container with two small flap doors in maple lacquered in a black colour, ice holder in light metal sheet and a bottle container in perforated aluminium. Wheels in chromed steel with rigid tyres in white colour, pull-out top in multilayer panel with steel profile on edges and covered in black colour melamine. Accurately handcrafted. Alfred Roth was born in Wangen (Switzerland) on 21 May 1903. He took a degree in Zurich with Karl Moser and began working in the studio of Le Corbusier and Pierre Jeanneret, creating two houses for the International Exhibition in Stuttgart. 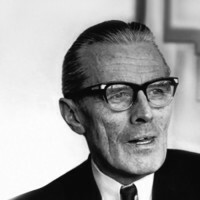 In 1931 he opened his own architecture office in Zurich, and carried out important projects in Switzerland, Sweden, the United States, and the Middle East. 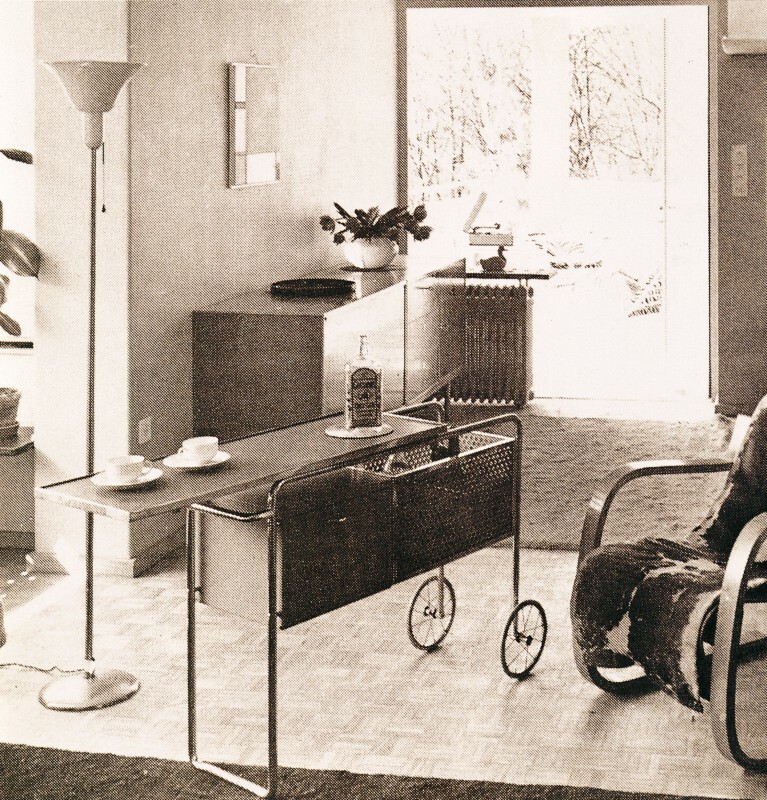 In collaboration with Marcel Breuer he designed the Doldertal houses in Zürich. In addition to serving as a visiting professor at the Universities of Harvard and Saint Louis, as well as at the Zurich Polytechnic, he published various books on architecture and his contacts with Le Corbusier, Loos, Hoffman, Perret, Van de Velde and Piet Mondrian.